The ADS5541 is available in a TQFP-64 PowerPAD package over the industrial temperature range. 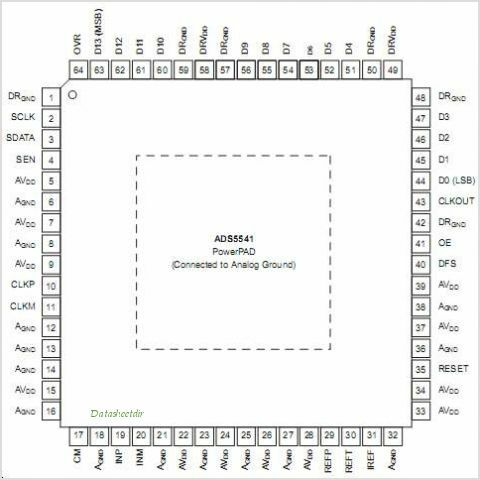 This is one package pinout of ADS5541,If you need more pinouts please download ADS5541's pdf datasheet. 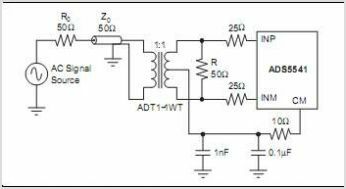 This is one application circuit of ADS5541,If you need more circuits,please download ADS5541's pdf datasheet.